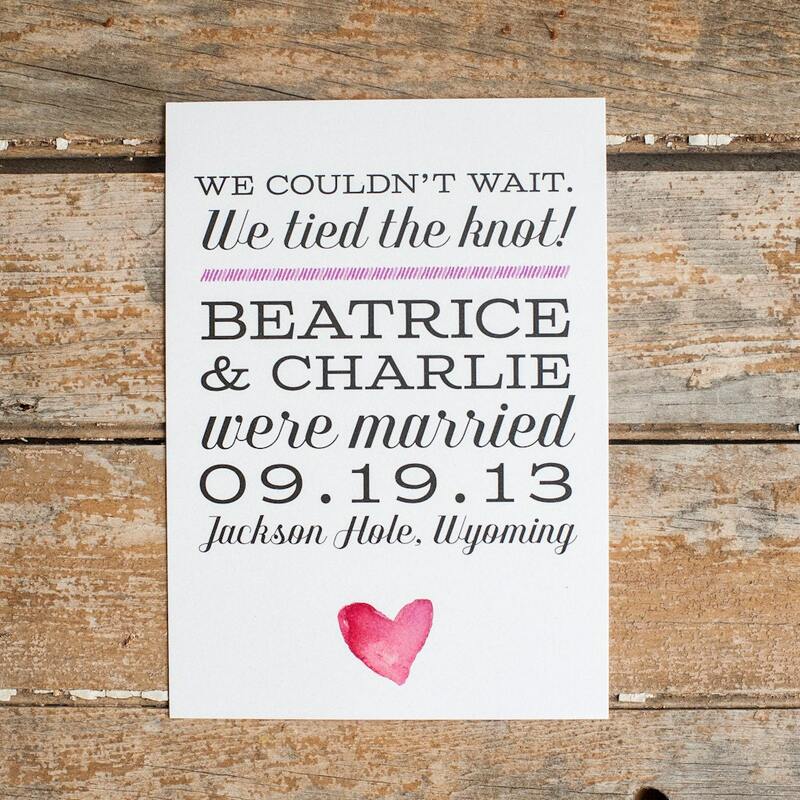 Our beautiful Beatrice elopement announcements feature a watercolor border and heart with a great typography design. 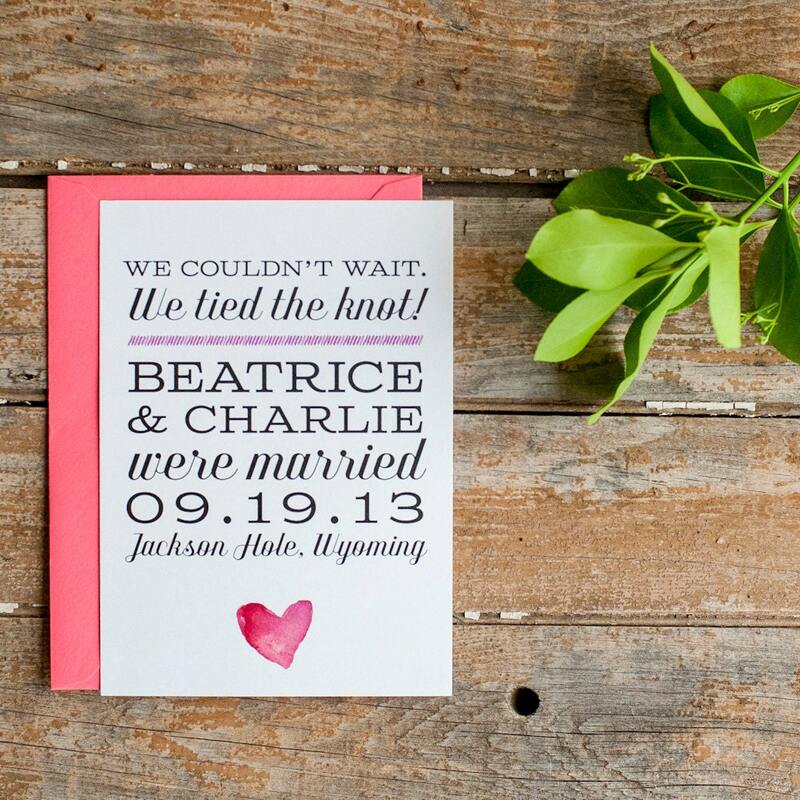 Fun, modern, and fresh, our Beatrice is featured here on pearl paper and paired with a upgraded coral envelope (a deluxe set). We offer a few different paper and envelope options, noted below. We're always happy to answer questions about our offerings to help make the Beatrice right for you! 1. Leave the default quantity as "1," and in the "Set & Quantity" dropdown menu choose your set type, noting that we order in sets of 25. 2. Send us your announcement form with all your info: http://form.jotform.us/form/50375547829163 (copy & paste!) Make sure all your info is there, as this will help us proof you faster. Send it right after checkout, and we'll have what we need to get started. Turnaround is 2-4 weeks. 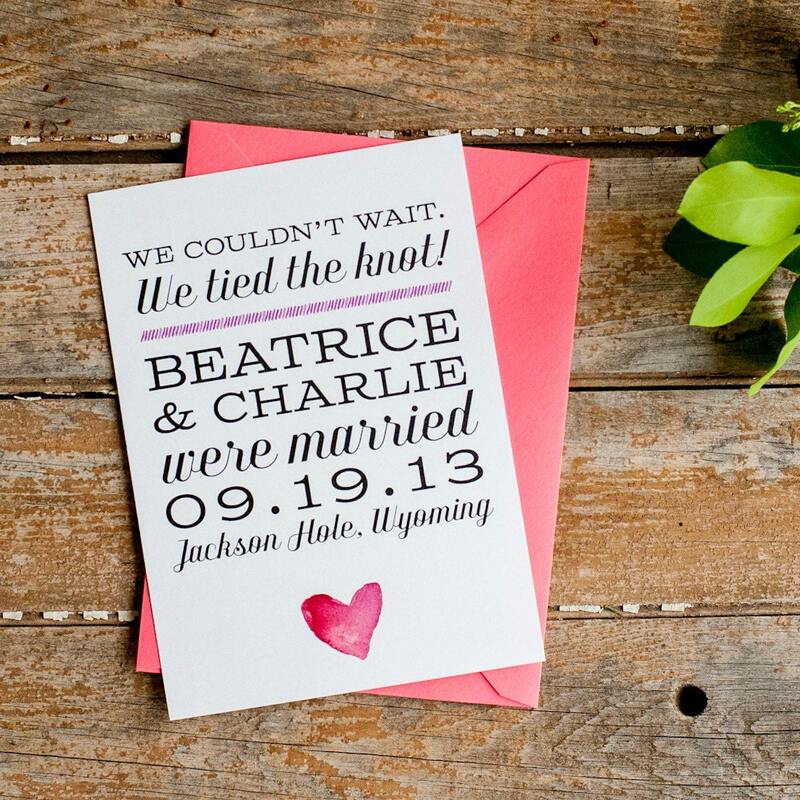 We will ship your order directly from our professional printer to you, in an effort to be eco-friendly. We limit packaging waste and energy resources by shipping only once directly to you. 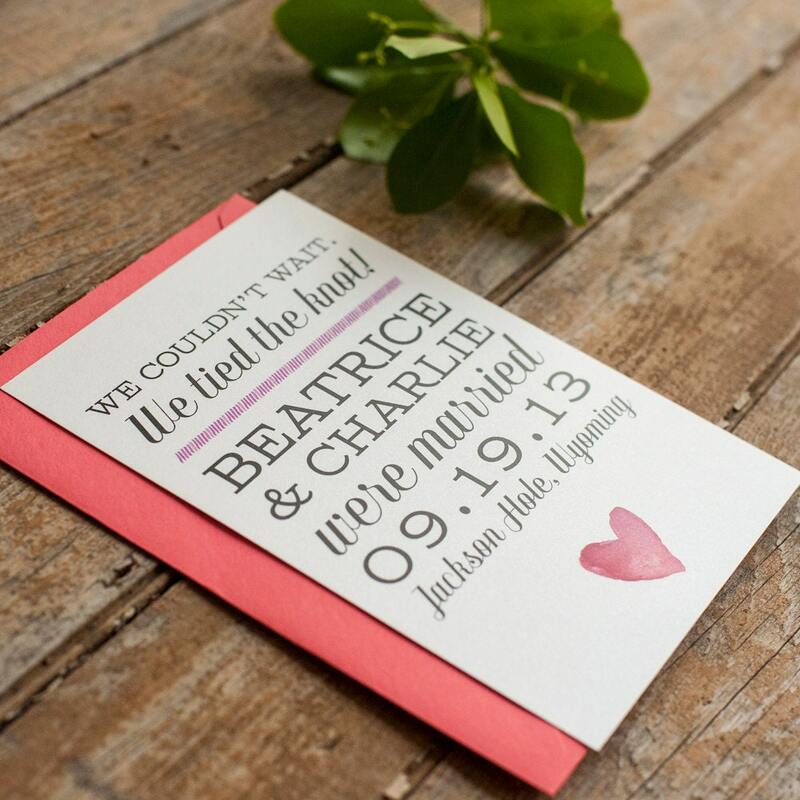 Your stationery will be packaged minimally but effectively against moisture and damage.